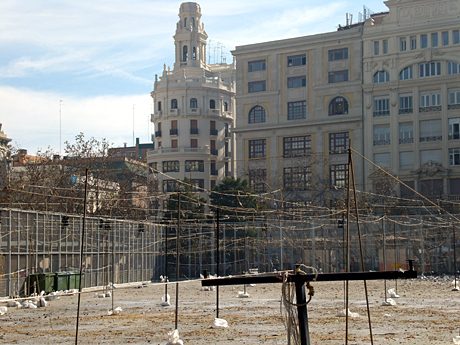 Starting today, the true craziness of the Las Fallas begins to unfold. 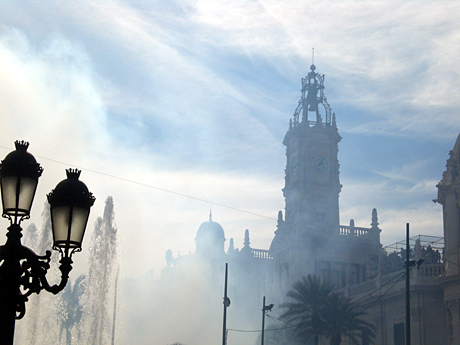 From now until the end of Fallas, every single day will be celebrated with fireworks, dance, drinking and food. We went to see the Mascletà again but this time it was a totally different picture: it was crowded. Mascletà – March 1st, 2008 Fallas from Valencia Blog on Vimeo. I like the colored smoke at the beginning – but this time the Mascletà suffered an early interruption, and was met with boos from the crowd. That means losing valuable points in the pyrotechnic competition. 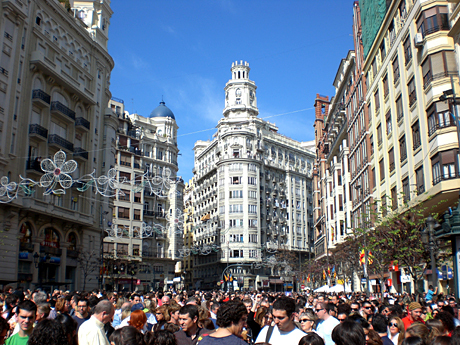 Every Mascletà is arranged by a different company and a winner will be announced at the end of Fallas. And above is where they shoot off the fireworks. Good thing it’s fenced off — that wasn’t the case up until a couple years ago. We heard a story about someone who was hit a piece of shrapnel. 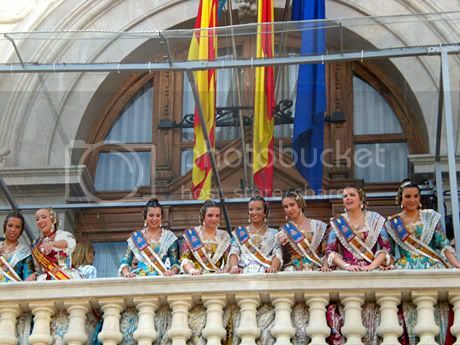 And here just a few cute Falleras of 2008.
this blog would be nothing without the awesome city of Valencia and it’s people. Your English is really nothing to worry about …! Also, if you got some tips for us please let us know …. we are always looking for content. Best way yo share some info is by joining the forums. Thank you again for checking out our site and we hope to see you back on Hola Valencia.